Associate professor Chen Xiaodong who heads up the team at NTU is credited with inventing the new technology. Currently, we use rechargeable lithium-ion batteries that can last for around 500 recharge cycles, which equates to about two to three years of use. The batteries we use today also take longer i.e. two hours for it to be fully charged. 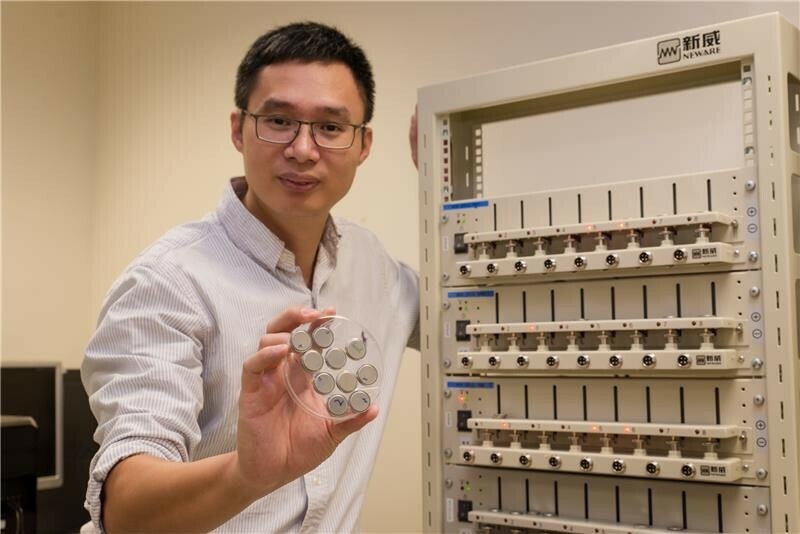 The main difference between current lithium batteries and this new invention is the material used for the anode (negative pole), instead of graphite, a new gel material made from titanium dioxide is used. Titanium oxide is abundant, cheap and safe to use and is often found in soil. In fact, it is also used as a food additive or in sunscreen lotion to absorb harmful ultra-violet (UV) rays. The team at NTU have found a way to transform the titanium dioxide from its typical spherical shape into tiny nanotubes that are a thousand times thinner than the diameter of a human hair. It is thanks to this nanostructure that ultra-fast charging can occur – as it speeds up the chemical reactions taking place in the battery. Other applications for this battery other than bringing the phone-users relief in the form of ultra-fast charging include charging electric vehicles. Electric vehicles currently require frequent battery replacements as they can only be recharged 500 times. The new battery will be able to be recharged more than 10,000 times, so ultimately, this will cost the user less as the battery wouldn’t have to be replaced as often (with battery replacements currently costing over US$ 5,000). This pioneering research was published by the research group in the Advanced Materials journal. The next step is to build a large-scale prototype and as the technology has already been licensed to a company, the time it would take for the technology to hit the market could be in as little as two years. What a great practical innovation this group of researchers have been working on. It just goes to show that chemical engineering matters. I wish the group of researchers at NTU the best of luck in bringing this new technology to market and look forward to the day when I can recharge my mobile phone in a matter of minutes, as opposed to hours. This new technology could have a massive impact on electric cars. In turn it could have a massive impact on renewable energy because car batteries could be used to store wind, solar etc. generated power when it is not required elsewhere.